This is a pair of Transistor 2WD Front X2 Buggy Tires. 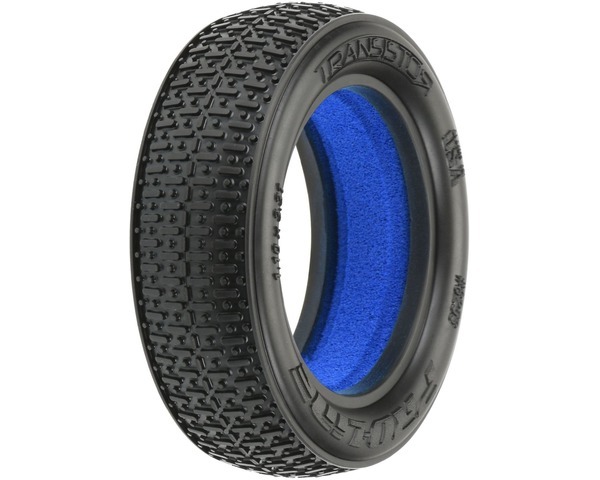 The incredibly successful Transistor Front tire is now available in our long wear X2 compound! The Transistor tread is the new kid on the block with 1s and 0s for tread. The Transistor provides good, consistent steering and is ideal for outdoor blue groove conditions. When compared to the Electron Front Tires, most drivers feel that the Transistor tires make your buggy easier to drive, which is an important performance tuning option for certain track conditions.